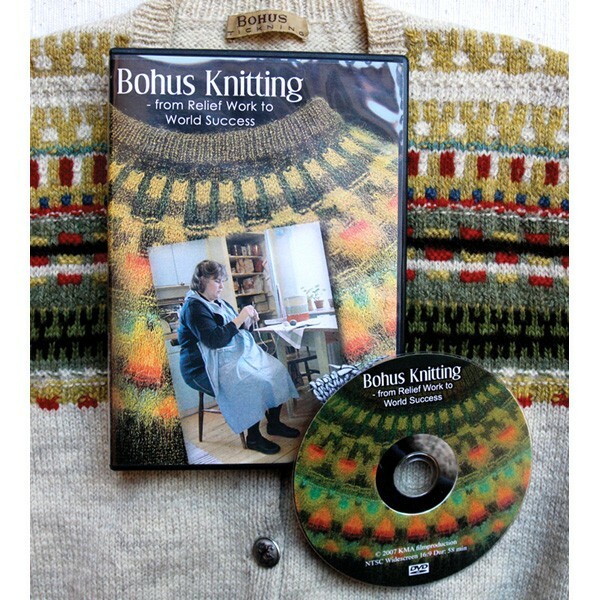 Compiled by a Swedish film company, Bohus Knitting - From Relief Work to World Success details the history of the halcyon 30-year period in the annals of hand knitting when women in Sweden's Bohuslän banded together to form a cottage industry and ended up producing world famous works of knitted art in the form of sweaters, hats, gloves, mittens and scarves. It is beautifully done (with an English voice-over and sub-titles), and I found it very moving to learn about individual women who had worked so hard to help their families and to see the extraordinarily beautiful knitting they produced. Wendy Keele's Poems of Color is an excellent companion book. 60 mins. DVD.